When Apple’s mobile wallet, Apple Pay, launched 2.5 years ago, the conventional wisdom was that the plastic card was about to be as dead as the flip phone, killed by the same disruptive culprit — the smartphone. That drum beat only got louder a year later, when mobile wallets Samsung Pay and Android Pay got up and running quickly. After all, why would consumers ever dip or swipe again when they could just tap and go? 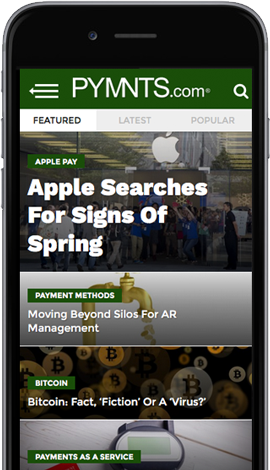 Well, two years and half — and several consumer studies by PYMNTS/InfoScout on mobile wallet adoption — later, the answer to that question started to emerge, but it wasn’t what the conventional wisdom said it was going to be. As it turns out, consumers like dipping and swiping just fine and are not dissatisfied with their plastic cards, even if they happen to have a phone in their hand with the capacity to use a mobile wallet. As of the most recent poll of 7,655 thousand consumers who had the ability (were in a store that accepted a mobile wallet with a phone equipped to use it), no matter what mobile wallet they had access to — Apple Pay, Android Pay or Samsung Pay — more than 40 percent of each user group reported being satisfied with how they were paying already. Which leads to the bigger problem mobile wallet adoption is showing as of the latest round of numbers — mobile wallet adoption, when it comes to use in store, is apparently stuck in neutral. Most consumers don’t use them when they can, and new adoption rates have mostly flatlined — except for Apple Pay, where they have visibly declined. And yet, when mobile wallet innovators reacted to the news at Innovation Project in Cambridge yesterday, they didn’t find the number discouraging, so much as clarifying, because they agreed with moderator Karen Webster that the new figures represented an opportunity. “Consumers aren’t in love with mobile wallets as they’ve been presented them,” says Karen Webster, “and that means merchants aren’t going to be in love either. The key takeaway here is that innovators really need to focus on what will get consumers, and merchants, excited enough to use them,” Webster remarked. So, how rough is it — and what are the best ideas about what’s next? The picture is less than encouraging — fewer than one in twenty consumers who have one of the main wallets (Apple Pay, Samsung Pay, and Android Pay) uses it when they can. Apple Pay has the strongest overall adoption numbers — as of the last survey, around 21.9 percent of potential users had at least tried the service. That clears the adoption rates for Samsung Pay (14.6 percent), Walmart Pay (14.5 percent) and Android Pay (9.7 percent) by a healthy margin. Apple Pay has been in the market the longest, so that is in some sense to be expected. This is Walmart Pay’s first appearance in our tracker with 8 months since nationwide rollout. When it comes to using the wallet — as opposed to merely trying it — Apple Pay has lost its leader of the pack crown to Samsung Pay, though by a rather small fraction of a very small number. When it came to surveying use, 4.7 percent of customers used Samsung Pay in an in-store transaction where they could. Apple clocked in with an even 4 percent usage rate, Walmart’s 3.31 percent usage rate and Android Pay’s 1.9 percent usage rate. Those usage rates, notably, have been more or less flat for Android and Samsung over the last year. Apple’s usage rates have been mostly declining since October of 2015. Apple Pay’s usage rates peaked in March 2016 at 5.9 percent. As of this latest round of numbers, Apple Pay’s first time usage rate is also now in notable decline after peaking at 23.8 percent in June 2016. By the numbers, the story isn’t entirely encouraging. But Julien Traisnel, Sang Ahn and Stephen Goodrich didn’t find the numbers discouraging so much as they found them informative. And since they are Google’s head of Business Development and Partnerships and Payments, Samsung Pay’s US VP & General Manager and the Chairman & CEO at ZipLine, respectively — as well as the members of Innovation Project’s Has Mobile Lost Its Way Panel — their insights on what those number really mean are educational for everyone. The big lesson to take from the numbers, all the panelists agreed, is that “can” is not a good enough reason for most consumers to take-up mobile payments if they already have a payment method that is working for them, like cards are for most consumers (or cash, particularly in the case of Walmart and Android Pay possible customers, according to the PYMNTS/InfoScout Data). A 4-5 percent adoption rate on the oldest — and arguably best known — mobile wallet indicates that consumers aren’t that excited, and given that underwhelming enthusiasm, merchants just aren’t that motivated to integrate with them. More notable is that consumers no longer say that they don’t know how to use them, or are concerned that they might not be a secure way to pay — they simply chose not to. But that doesn’t mean that consumers can’t be given a reason — and as the panel progressed, it became clear that those reasons can take a lot of shapes. The most direct incentive for consumers is rewards, a path that Samsung has been pursuing since late 2016 with at least some early signs that it is having an effect. Moreover, the entire panel agreed, the payment itself can be tied to a better outcome for the consumer. Android Pay has seen a very successful integration in London transit (figures that would not be counted in the latest release on U.S. mobile wallet adoption) because it solves a bigger problem for the consumer than paying — it makes it easier to not miss their train. This, the panel noted, is why there has been so much success for mobile order ahead at places like Starbucks, or pay at the pump with a smartphone, or ridesharing. Consumers may not be looking for a different payment method explicitly, but if an improved payment method can connect them to a solution for a commerce problem they already have, they are much more likely to want to adopt it. No one wants wait in line for coffee, or stand in the freezing cold any longer than they have to to get gas, or argue with their cabdriver about how much change they’re owed — and with a tap to pay on smartphone today, all of those problems can be eased. Samsung’s Sang Ahn noted that though it might feel as though we’ve been talking about mobile payments forever, what we’ve seen so far is very much like the first inning of the baseball game. But what that next phase looks like is going to require more of a concerted effort to keep giving customers reasons to adopt. Mobile payments in store, for example, might not always be about tapping a phone at a point of sale, so much as grabbing one’s goods, making a cloud-based payment and going, noted Google’s Julien Traisnel. And, Ahn noted, it will also be about giving merchants more reason to want to adopt by making a more unified offering. And most of the panel agreed that this wasn’t likely to be solved in one step, but was going to be about continually offering both merchants and consumers more — until the mobile wallet becomes the better offering. And with 95 percent of consumers still by and large preferring to pay the way they always have, they certainly do they certainly have plenty of growing and innovating to do.